Never heard of SITS? SITS is an amazing community of over 7000 bloggers who have come together to offer support as well as some of the best blogging tips and resources ever! If you remember, just a couple weeks ago I had my Party Day where I was the featured SITS blogger for the day! Talk about a good time! So definitely head on over there and check it out! It was so much fun to see Abby dressed up this year! She didn’t quite understand the whole Trick or Treating thing yet but she sure had fun in her tutu! I can’t wait to see her this holiday season and watch her take it all in! Here are our favorite shots to recap this Halloween! Next postNovember is National Adoption Awareness Month! Wow, you really got some great shots in of her! Looks like she got Halloween at least a little! It’s all about the candy! too cute! Perfect little ladybug. Tell John we can’t be friends anymore because of his hideous Halloween costume. 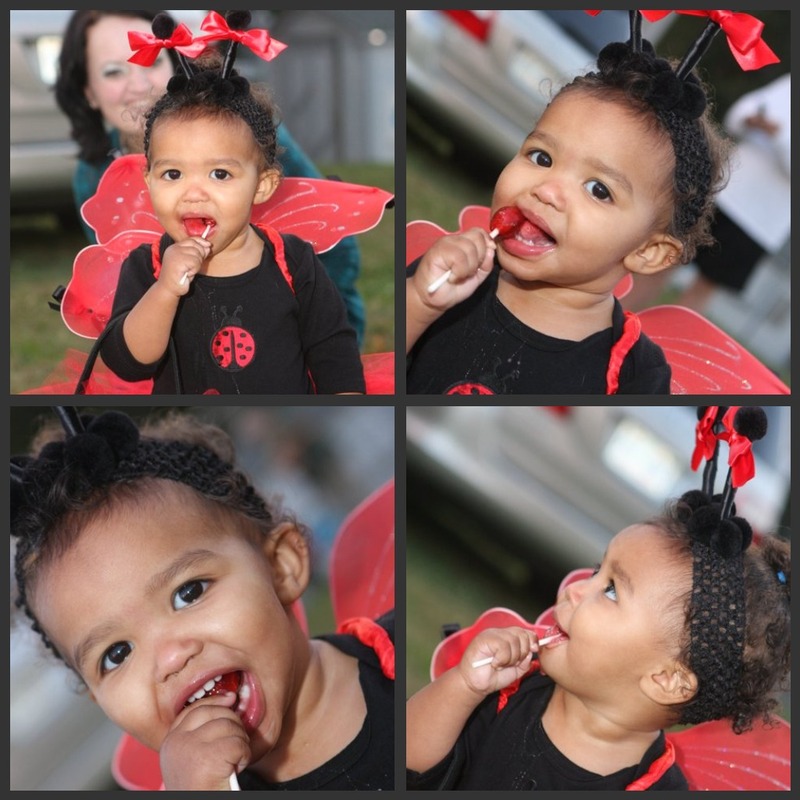 Oh my goodness she is the cutest little lady bug!!! !